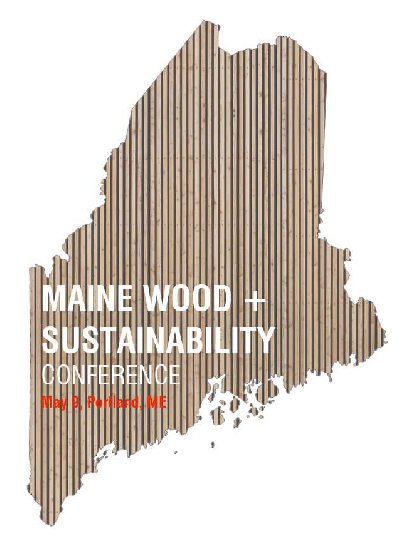 This conference will strengthen the personal ties and supply chains between builders and designers and Maine’s far-flung network of wood producers. Architects, engineers, builders and developers would have opportunities to meet directly with a variety of wood producers and key players in the development of next generation wood products. Presentations are planned on mass timber and other engineered timbers; panelized design, construction and renovation; air-tight, prefab construction; and forestry. This would be an opportunity to strengthen and clarify Maine’s potential for championing a carbon light/neutral future through sustainable construction, while simultaneously demonstrating a market for Maine’s sustainably-managed forests and next generation forest products.